The current legislative initiatives advocated by Foster Friess and the Wyoming GOP to limit voters’ ability to switch party affiliation is understandable but misguided. The proposed bills in the state Legislature — SF160 – Change in political party affiliation-2 and HB106 – Party affiliation changes — will disenfranchise one-third of Wyoming voters, and does not solve Friess’ actual problem. Friess didn’t lose the governor’s race because of crossover voting — he lost because the conservative vote was split four ways, leaving Mark Gordon with the moderate vote all to himself. To solve his problem and to increase participation in the political process, Wyoming needs a real solution: open primaries and ranked choice voting. I understand why some members of the GOP dislike the current system that allows Democrats to switch party affiliations in order to influence the outcome of Republican primaries. One could argue that these are the spoils that go to the majority party. But that would be anathema to American democracy. Given the one-party dominance of our state, our “general election” takes place during the primary, and in one-party states, the partisan primary process does not function as intended. Regardless of one’s party affiliation, we should all agree that every American deserves to have their vote matter, and few states should appreciate this better than the Equality State, which led the nation in ending the disenfranchisement of women. I understand this problem well having regularly “crossed over” in the other direction. While I was building my trucking company and living in Massachusetts, I knew that if I wanted any say on who was on my children’s school board, who would decide how my city taxes were spent, or who would be my next U.S. Senator, every two years I had to become a Democrat for a day. I did it regularly. It upset some of my Democratic friends, and they had a point. The solution to all is to hold open primaries, followed by ranked choice voting — a system that is being increasingly adopted by other states. Under this reform, all registered voters participate in a open primary — one big primary election contest that includes candidates from all parties. The top four vote getters from that first round free-for-all then advance to the general election regardless of party affiliation. This serves to comfortably reduce the candidate pool to a manageable number, while not eliminating the candidate who would win in the general election. For example, under this system Mark Gordon, Foster Friess, Harriet Hageman and Mary Throne would have likely advanced to the general election. And yes, with four candidates advancing, in my contest with John Barrasso I too would have progressed to the general election. But it would not have offered me or any other candidate an advantage, since in the next step, under ranked choice voting the candidate with the broadest support always wins. Next, in the general election voters “rank” their choices by order of preference. Here is where we really address the GOP and Friess’ concerns. Foster was hurt not because of crossover voting, but because like-minded conservative candidates split the primary vote among themselves, allowing Gordon to become our governor with only 33 percent of the vote. The same issue occurred in 2016 when Liz Cheney received only 39 percent of the vote. Ranked choice voting solves this problem. If after counting the votes one candidate receives more than 50 percent of the total votes, then the contest is over. But if no candidate gets a majority, then the candidate with the least number of votes is eliminated. Those who voted for the eliminated candidate then have their vote changed to their second choice. All of those second choice votes are distributed to the candidates that earned them, and election officials retally. 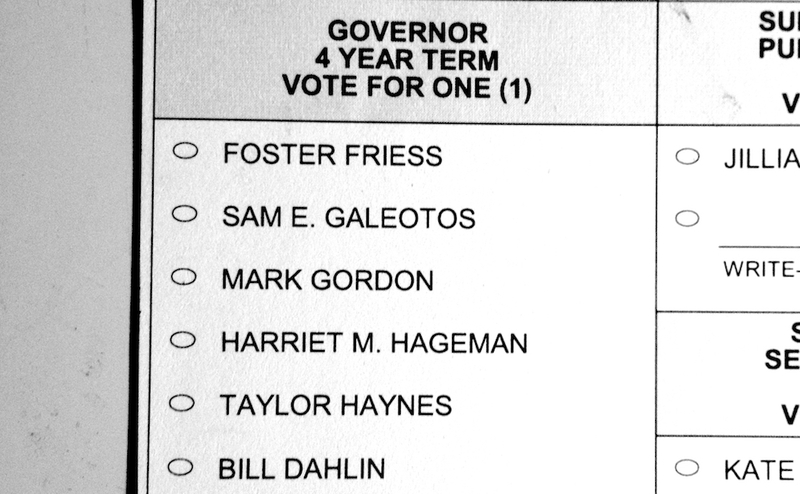 Let’s say a conservative voter preferred Harriet Hageman, but if they couldn’t elect her, their second choice was Friess. If Hageman came in last place in the first counting of the general election, instead of that person’s vote for Hageman being wasted and Mark Gordon winning with less than 50 percent of the state’s support, their vote becomes a vote for Friess and the votes are recounted. This process continues until one candidate receives more than 50 percent of the total vote. It works like a series of “run-offs” but happens efficiently all in one night. For a great 39-second video explanation, click here. For a more in-depth audio documentary about the process and how it works, click here. Under this process no voter’s ballot is wasted, like-minded candidates can’t split the vote, all Wyoming voters participate and no one gets elected without the support of the majority — all important issues that the current legislative proposals do nothing to address. To be clear, I’m not suggesting that under an open primary and ranked choice voting, Mark Gordon would not have prevailed. Nor do I think it would have changed the outcome in my contest with John Barrasso. What I am saying instead is there would be no question as to which candidates represented the will of Wyoming and no Wyomingite would be cut out of the political process. Whether it be Mark Gordon or Foster Friess as our governor, no one could second-guess whether the candidate best representing Wyoming’s choice prevailed. The current proposals in the Wyoming Legislature are blunt instruments. They are intended to create a fair process, but are mathematically flawed. They also have the effect of disenfranchising 30 percent of Wyoming voters — something no American or Wyomingite should favor. Rather than a hasty Band-Aid, Wyoming families deserve real electoral reform, and should follow the trend toward open primaries and ranked choice voting. 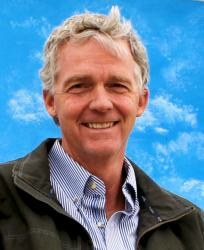 Dave Dodson is a Wyoming resident, serial entrepreneur, faculty member at the Stanford Graduate School of Business and former candidate for U.S. Senate. He is also the co-founder of Project Healthy Children and Sanku, which has implemented lifesaving nutrition programs in sub-saharan African, reaching over 30 million people. The article states that the top four (4) candidates move to the general election not the top two (2). This give the minority’s party a better chance of staying in the game. I don’t support this. Did anyone else notice the part of the two candidates with the most votes advance to the general election regardless of party affiliation? This is what California has and eliminates choice of party representation allowing for a dominant party outcome. New laws would be passed without compromise. What’s wrong with that? The point is, the two top vote-getters–the choices of the voters as a whole–advance to the general, where one will be elected by a majority of the voters. Open primaries, with the two top vote-getters advancing to the general election should have been adopted long ago. Ranked choice voting would be fine, too. And while we’re at it, make all county level elected offices nonpartisan. Who cares about the party affiliation of the clerk or the sheriff or the treasurer? If Wyoming is going to use ranked choice voting, then there is no reason to even have a primary. Abolish the primary and just have the election in November with everyone running in November. That is what Louisiana does. Nice presentation, but you are ignoring the fact that the Wyoming GOP is not trying to maximize democracy. They are trying to find rules that will help the most extreme candidates win. I hope we do not have to let our fine state become Kansas in order to discover first hand what a tragedy that would be.